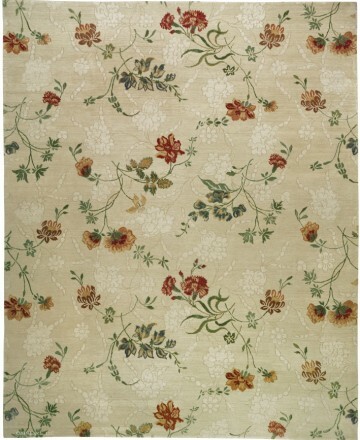 Lapchĭ delivers the romance of French floral textile design in a transitional rug. 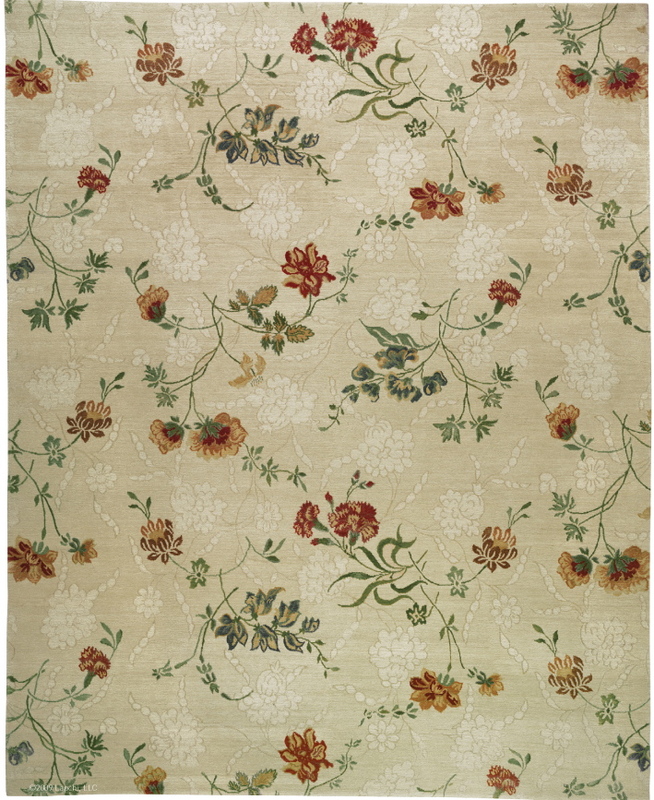 Loop technique is used to effect an elegant background reminiscent of ivory damask. Hand-spun Tibetan wool and Chinese silk with 150 Knot weave construction. Shown in Silica. Also available in Spruce Green, Raisin, Crimson and Seaglass colorways. The open, borderless nature of this Lapchĭ design lends an expansive feel to any room.